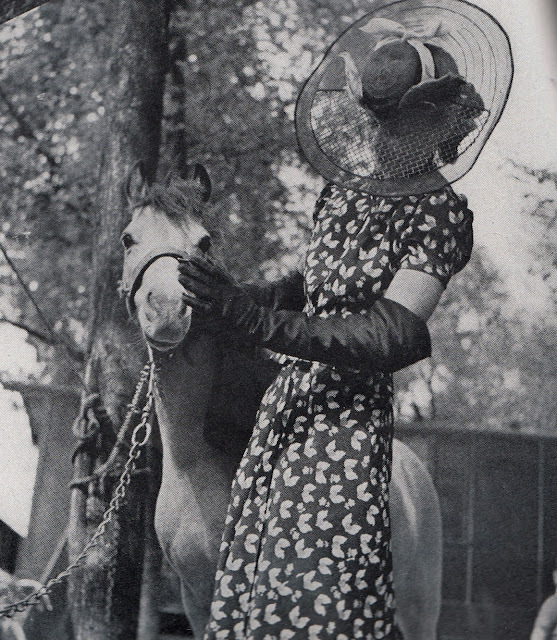 I love getting to the Southern Oregon University library and scanning these vintage magazine photos. 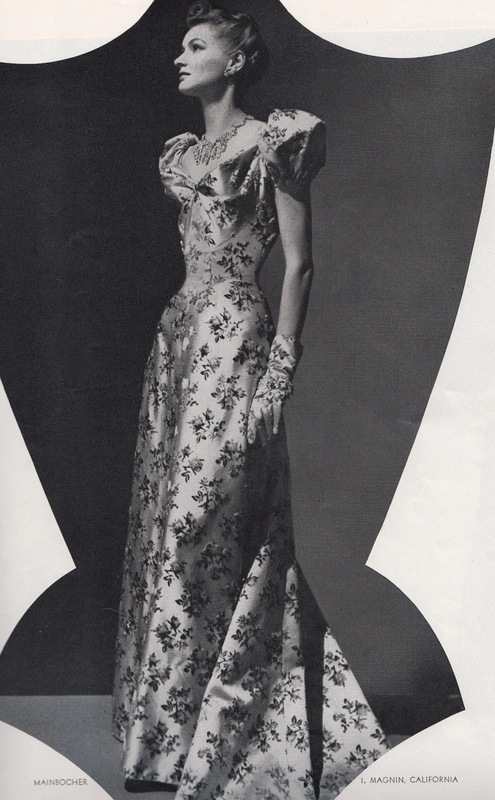 Here are some lovely dresses from Harper's Bazaar 1936, starting with this beautiful brocade. 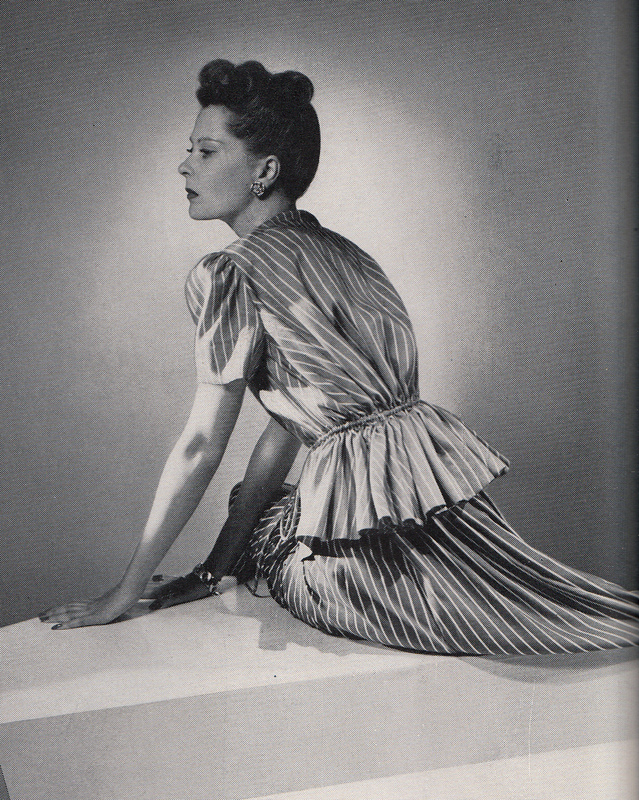 Harper Bazaar Sept 1st 1936, beautiful and so classy! 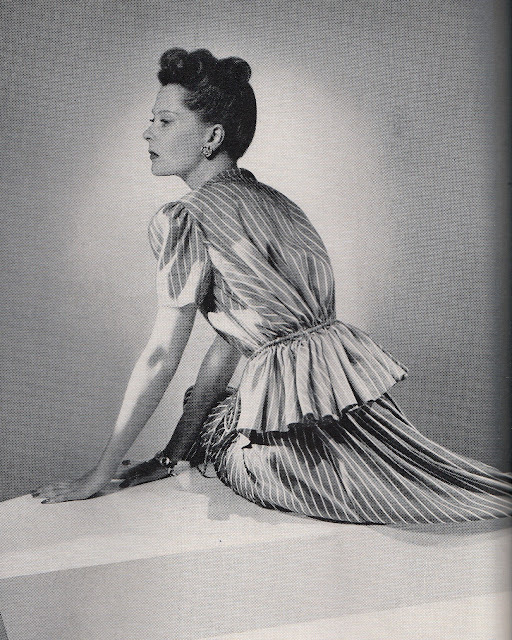 Would love to see it in color, but most of the magazines really didn't do a lot of color until the 50s and 60s. A great pair of lounging pants, love the painted Koi, Harper Bazaar July 1939. Coat has hand blocked brillant fish on natural pongee, Hawaii. 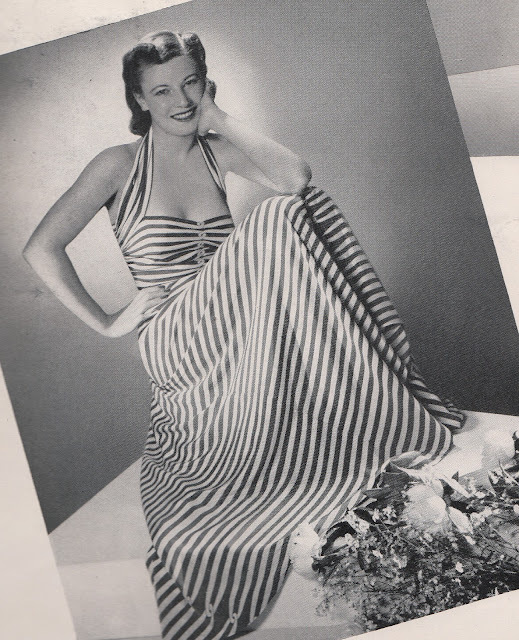 Harper Bazaar July 1939 from Gumps. 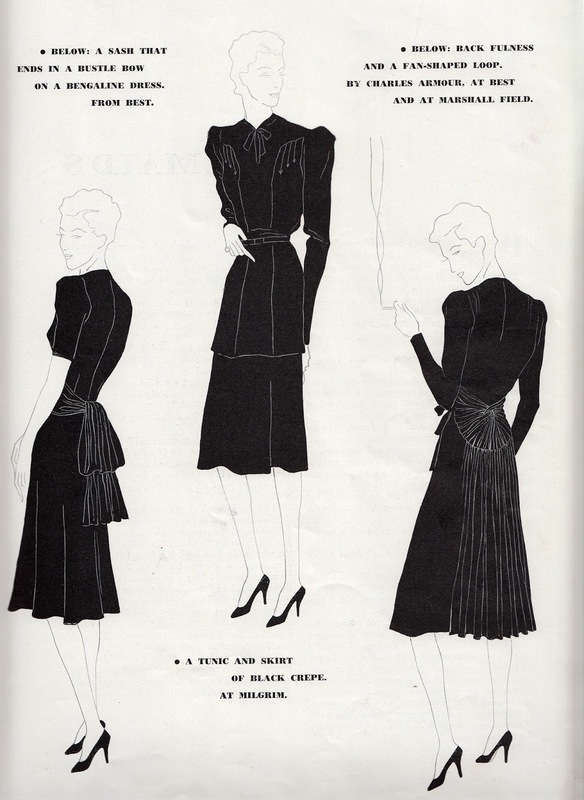 Love the draping and details on these dresses, Haper Bazaar July 1939. 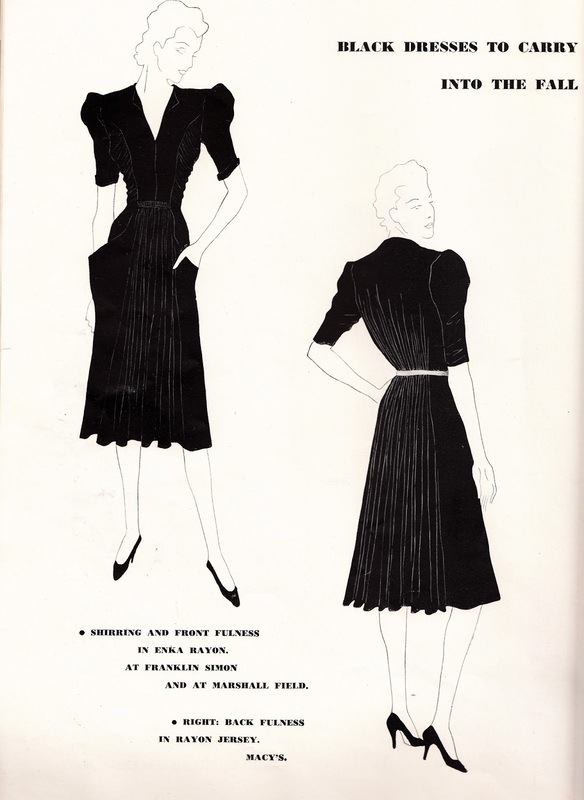 And a few more lovey draping with very petty detail on these dresses, Haper Bazaar July 1939. Haper Bazaar July 1939, I so do not want summer to be over. 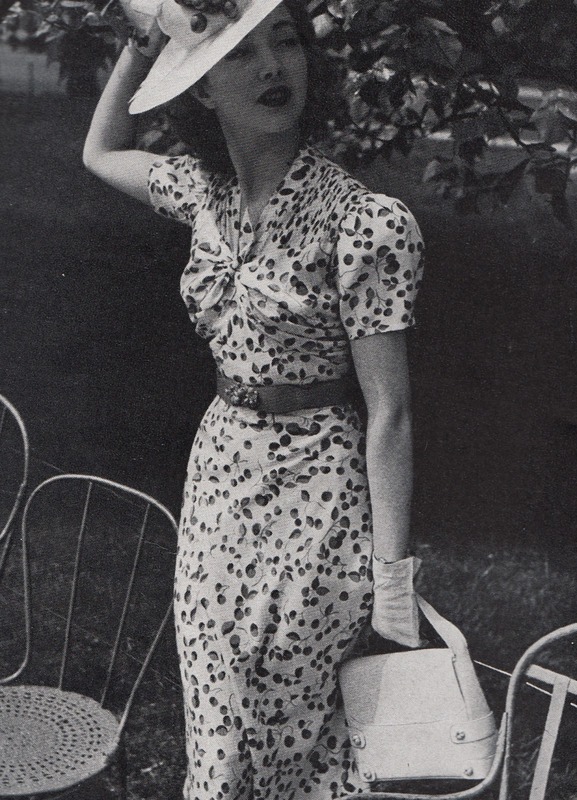 and would love to wear this dress not only for summer but for other days too, unfortuanally I can't with winter coming. 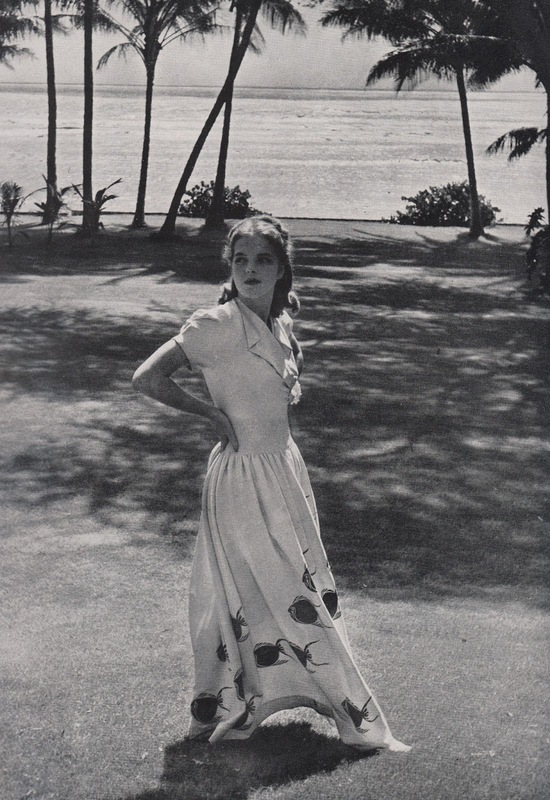 Almost all white print splashed with bright red cherries and bright green leaves, Harper Bazaar 1939. dress at Bergdorf Goodman. 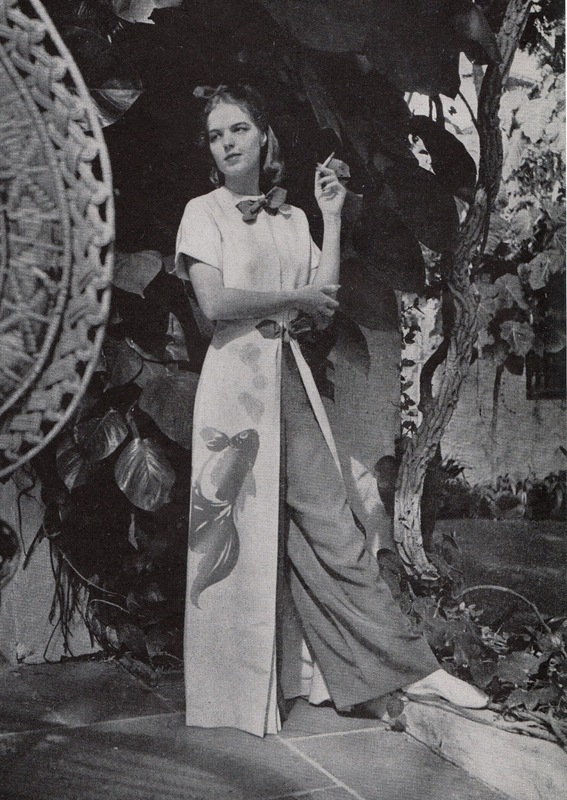 Schiaparelli dess from Harper Bazaar July 1939, bleeding hearts on black with fuchsia hearts and yellow wings. So fun! Thank you for sharing all this vintage fashion goodness with us. Love the striped halter dress... so amazing.